E-mail is the default method of communication to carry out day-to-day tasks in nearly every business. While a free or default e-mail app may be fine for your personal e-mail account, managing business-critical time-sensitive e-mails often requires a higher level of organization and security than a standard e-mail app. Today's e-mail apps, whether they be extensions of clients like Google’s Gmail or Microsoft’s Outlook, or third-party tools, have a whole host of productivity-enhancing tools. These apps can work in coordination with the other workplace tools like Slack or Dropbox and are starting to utilize machine learning for a more focused, streamlined e-mail experience that prioritizes the most important messages. Do you find that it’s easy to get overwhelmed by the sheer number of e-mails that turn up in your inbox each day? How do you make sure to handle the important messages, organize the others for replies later, and delete the trash, all while keeping your account secure? These apps can help you stay on top of your inbox and never miss an important message ever again. If you're looking to move your e-mail into 2019, check out the list below for your best options. Anyone who has spent time working an office job has probably used Microsoft Outlook at some point. However, if you haven’t tried it in a while, it’s worth taking another look. After acquiring the mobile app Accompli, Microsoft revamped the mobile version of Outlook to be one of the best apps for e-mail out there. Compatible with both iOS and Android devices, the Outlook mobile app helps you coordinate not only e-mail but also attachments, contacts, and calendars. 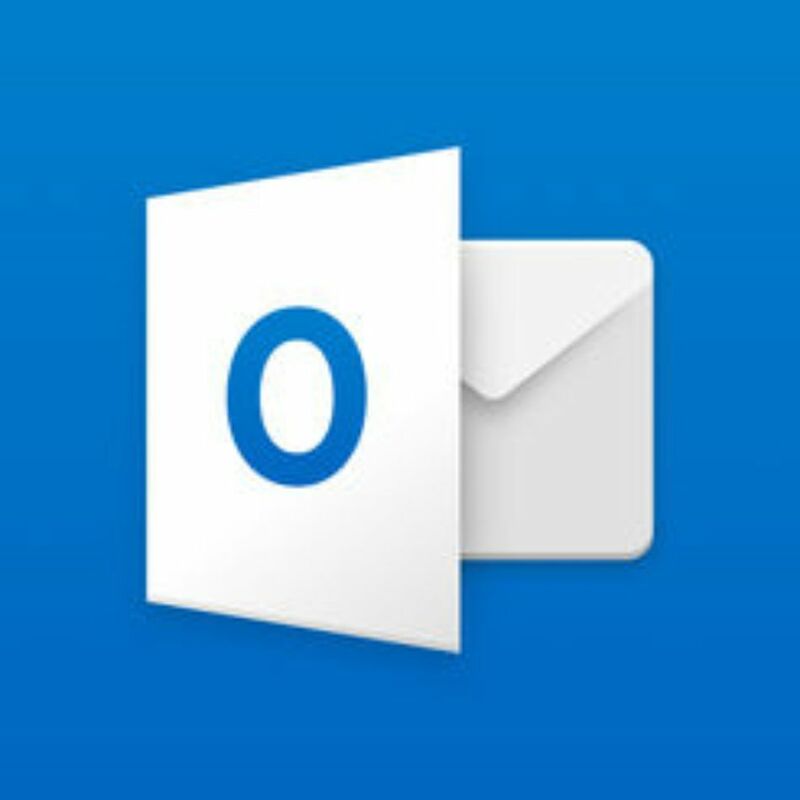 If you ever feel like you’ve been buried under a pile of e-mails and can’t get out, you’ll appreciate Outlook’s quick swipe controls which allow you to get a handle on your inbox with seamless swiping. Microsoft Outlook is compatible with lots of other e-mail programs including Exchange, Office 365, Outlook.com, Gmail, Yahoo Mail and iCloud accounts, making it great for multitasking. Microsoft is constantly keeping it up to date with helpful new features and the best security. Finally, it connects with Microsoft’s business suite of products for cloud integration on a single ecosystem. It’s impossible to create a list of the best e-mail apps out there today without adding the ubiquitous Gmail. If you use an Android device this app will usually come preloaded, and many people who need a free e-mail client will turn to Gmail for an easy-to-use app. Gmail especially makes sense if you use the rest of the Google suite of products. Partnering Gmail with Google Doc, Google Sheets and Google Hangout gives you a whole free cloud-based business ecosystem that allows you to take your work anywhere. The app supports multiple accounts and notifications, making it simple to check everything from your business and personal accounts all in one place. Stay organized by creating folders, tagging e-mails and starring e-mails so you don’t forget to follow up. Even if you don’t regularly use a Gmail address, the app also supports a variety of IMAP and POP e-mail accounts as well as Exchange. If you are looking to replace the Gmail domain name on your e-mail address with something custom, you can do that and add co-workers. Are you in need of an e-mail app to boost your productivity? Most professionals are, and Dispatch gets the job done. Quickly sort and organize by swiping and create standardized responses called snippets in order to send out replies more quickly while still making sense. Dispatch works with 55 other apps (including Evernote, Pocket, Fantastical, Chrome and Twitter) and supports most IMAP services (including Gmail, Google Apps, iCloud, AOL, Yahoo!, FastMail, QQ.com, GMX.com and Openmailbox.org) so it’s guaranteed to streamline your current stack of productivity apps. Instead of using push notifications, Dispatch “fetches” and notifies you of new e-mails even when it’s not running. To avoid distractions, you can choose to have badges for unread e-mails show for just some of your accounts. The truth is that it’s easy for your inbox to get flooded with unwanted or duplicative content, and users love using Dispatch to quickly sort, archive and delete e-mails. Inbox zero? With Dispatch, it might be possible. This is great if you spend most of your day in your inbox. With data breaches and unauthorized access to user data constantly in the news, a lot of people are looking for an e-mail service that's safe and easy-to-use. For users who are concerned with security, ProtonMail is worth checking out, especially if you have intellectual property to protect that could be sink-or-swim for your company. According to its website, ProtonMail, which was founded in 2013, is incorporated in Switzerland and all its servers are located in Switzerland, meaning that user data is protected by strict Swiss privacy laws. Additionally, every e-mail sent using ProtonMail is secured automatically with end-to-end encryption so even ProtonMail cannot decrypt and read your e-mails. ProtonMail claims that none of your encrypted e-mails can be shared with third parties. Furthermore, ProtonMail—which is ad-free—doesn’t require any personal information to create your e-mail account. Anyone can sign up for a free account and e-mail address, but you’ll need to upgrade to a premium tier for additional organizational tools and storage space. Created by Notion, Trove gives you an e-mail client with artificial intelligence to help you organize your e-mail. Over time, Trove learns from your behavior so it can show you which messages are the most important and highlight them in your inbox. For e-mails not deemed important, simply swipe to remove them from your inbox and get on with your day. Over time this has helped professionals fine-tune their attention to only the most important messages while avoiding distraction from others. Trove supports multiple accounts and signatures and allows you to attach from other popular programs including Dropbox and Google Drive, which is helpful if you juggle multiple business e-mail addresses. A feature called Radar makes sure you don’t forget about e-mails that have questions requiring a response. Smart, customizable notifications make sure you’re alerted when really important messages come in. Insights and Responsiveness are included tools that give you statistics showing how you can better encourage responses and measure how others respond to you, perfect for marketers managing e-mail promotions or sales people trying to follow up on a lead. If you’re an Amazon Alexa user, you can even talk to your e-mail thanks to a built-in Trove Alexa Skill that allows you to listen to important e-mails and organize your inbox. Trove supports Gmail, G Suite, Office 365 and IMAP e-mail services. Edison Mail is a mobile e-mail app that works with a variety of e-mail providers and boasts a smart assistant to help you get the most out of your inbox and streamline your workflow throughout the day. Smart notifications allow you to mute certain senders so you only get alerts for important business-critical e-mails and don't have to be bothered by that fourth e-mail today about an online retailer’s sale. Speaking of those types of e-mails, if you’ve been a little careless giving your e-mail out signing up for too many newsletters and, this e-mail app has a handy bulk unsubscribe feature to help you get off annoying mailing lists. Business travelers will love the specific travel notifications that immediately alert you to any e-mails concerning things like flight delays, gate changes, or car rental updates. Order a lot of supplies for the office? Edison Mail has a feature that automatically tracks packages for you so you don’t have to waste time searching for tracking codes and navigating from site to site just to find your stuff. Edison's app supports Gmail, Hotmail, iCloud, Yahoo, Outlook, Office/ Outlook 365, Exchange, AOL and IMAP mail accounts. If you love Gchat or spend all day on Slack, maybe you’d like to try organizing your e-mail more like instant messages. WeMail tries to create that chat-like environment by sorting your inbox messages by sender, allowing you to view your e-mail threads like a text chat and reply in the same thread. Tapping on a grouped e-mail will show you all the e-mails in your inbox from that sender, regardless of when they arrived. This can be really helpful for tracking conversations over time, event planning or even bulk-deleting e-mails that all come from an unwanted sender. You can also compose and reply to messages using your voice, making it great for staying hands-free. Plus, with just one tap you can access all the e-mails, attachments, or pictures you’ve ever sent another user. WeMail allows you to use multiple accounts and currently supports Gmail, Yahoo, AOL, Outlook, and IMAP, with planned support for Exchange coming soon.